The pictures and videos of the rich and famous looking incredibly beautiful in their outfits is enough to make anyone envious. However, it’s also giving us plenty of inspiration for planning our own big parties. Whilst we’re not hosting an award ceremony for the A-list, we can plan our very own Hollywood inspired birthday bash. Unsure how? Here are some of our best ideas. You can’t organise a party to rival a Hollywood awards ceremony without making sure that the invitations say everyone should dress to impress. You wouldn’t spot Jennifer Lawrence in jeans on the red carpet, so you shouldn’t expect this from your guests. Tell your guests to dress in their swankiest red carpet attire! We’re thinking black tux for the gentlemen and glitzy floor length dresses for the girls! A little chilly outside? A (faux) fur coat will add that celebrity touch. You can’t arrive at your party in the back of a taxi – could you imagine Kate Winslet turning up to the Oscars in the back of a yellow cab? 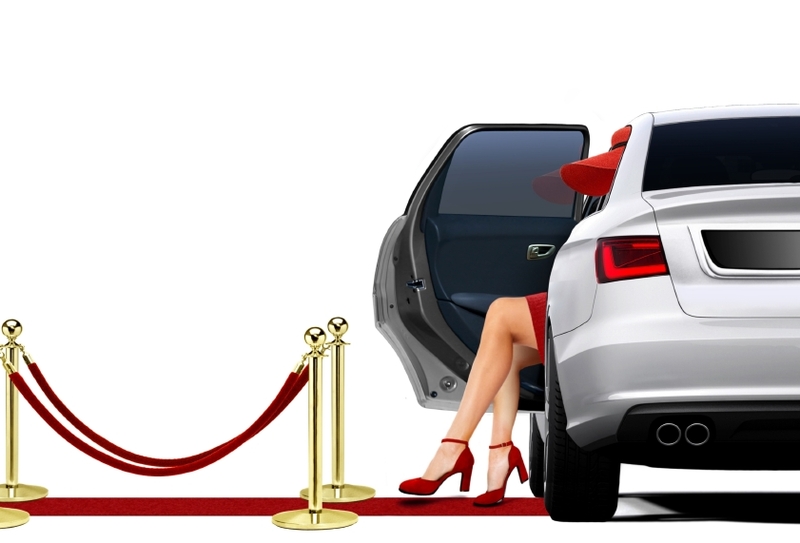 Channel the superstar you really are and a hire a fantastic limousine to get you there on time and in style. Sip champagne whilst you listen to your favourite tunes to get you firmly in the party mood. We don’t think there is a more exciting or luxurious way to travel! As your guests arrive at your party, have a red carpet put down just for them. Your friends and family are dressed like royalty so why not treat them like the A-listers they are? Not only will the red carpet add that special Oscars touch, it’ll also get everyone excited and in the mood! Why not have people taking pictures of them for that authentic feel? Along with the entertainment and games that you already have planned, why don’t you organise your own awards ceremony? You don’t have to spend a lot on the actual awards (plastic ones will do the trick) and it’s an extremely fun thing to do! Think of some categories to vote in, such as best dressed, funniest laugh, blondest, most likely to get drunk etc etc. Get your guests to vote as they arrive, ready to be announced during the evening! If you are planning your own Hollywood inspired party, please contact us to discuss our limousine service. Our limos can help you look and feel like a celebrity on your special night.